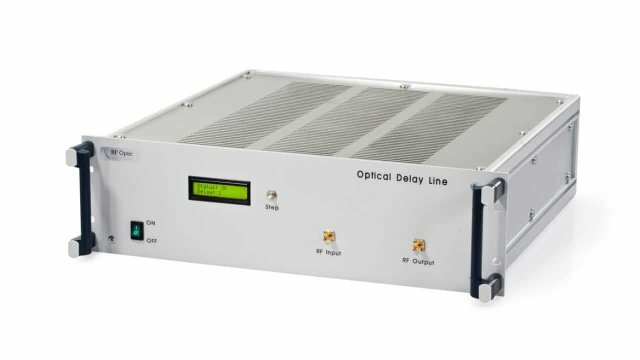 Our Optical Delay Line (ODL) series provides a high performance solution for testing and calibrating radar systems or RF communication. Our ODL converts analog RF signals in the 10 MHz – 20 GHz range (20GHz with different gain flatness is also possible) to optical signals and back. RFOptic’s Optical Delay Line is a compact solution, which provides superb performance. It includes accurate time delay and ultra silent operation. The ODL can be purchased with an integral switch unit supporting up to 8 predefined time delay values in a single ODL unit.